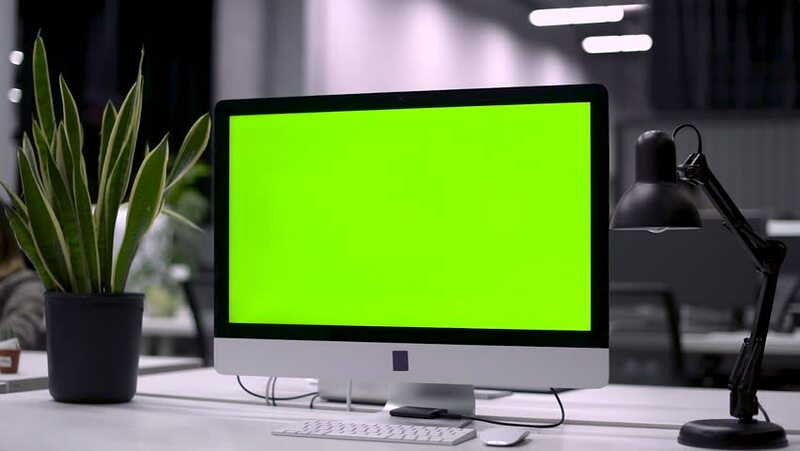 Green Screen of the Computer in the Office. Working Space. 4k00:11Close up shot of young woman typing on the computer with green screen in the office. Chroma key. View from the back. 4k00:14Close up shot of young woman hands working using the computer with green screen in the office. Chroma key. 4k00:27Close up shot of young woman in the glasses typing on the computer with green screen in the office. Chroma key. View from the back. 4k00:06Modern Personal Computer, tablet and phone with Mock-up Green Screen Display Standing on the Desk of the Office.